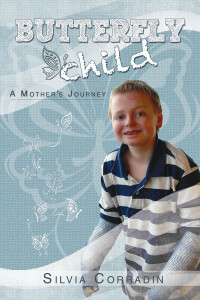 My story on how I came to care for my son started, as with all RDEB babies, when he was born. Since he was c-section he came out perfect except for some problem with his mouth. The nurses sucked all his skin out of his mouth when they did the routine suctioning of the liquid in his mouth when he was born, but we did not know it at the time. It wasn’t until the next morning that the pediatrician came into my room to tell me that they had to put Nicky in NICU in an incubator because of the problem with his mouth. 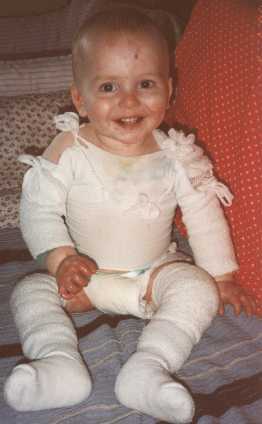 They thought it was either a “Staph Infection”, “Herpes” or some rare skin disorder called “Epidermolysis Bullosa”. By then, in fact, he had started blistering all over the place, not just his mouth. The Neonatologist had a dermatologist on his way from the Children’s Hospital in Phoenix where he always worked on Tuesday from his office in Tucson. 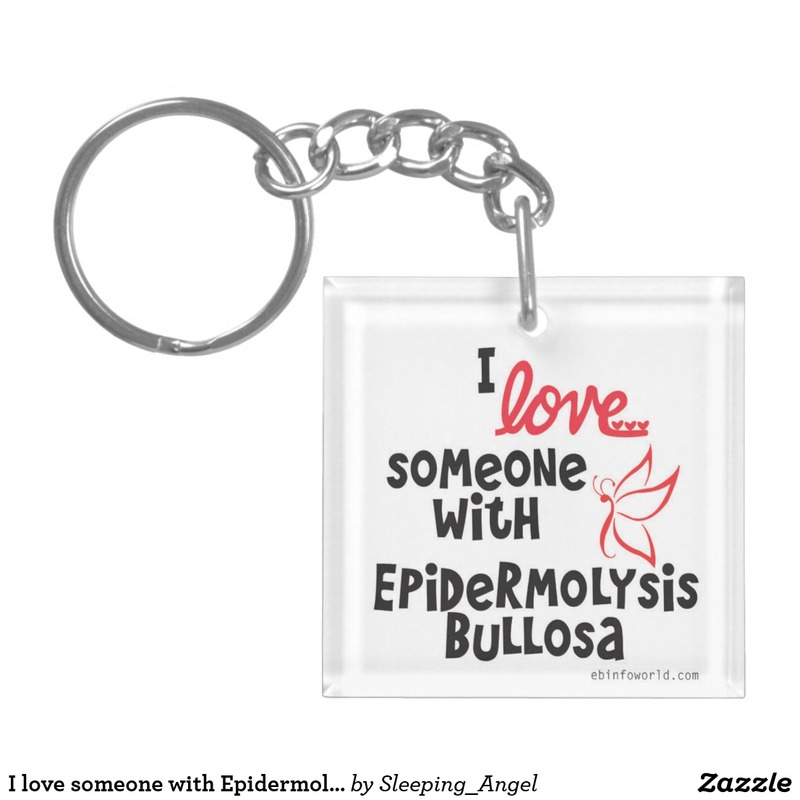 When the dermatologist arrived it was around noon, he told me that he had seen Nicky and did some sort of test with the eraser from a pencil and he wrote down the name “Epidermolysis Bullosa”. He was fairly sure that is what he had but did not know what form. After he left, the nurse took me down to NICU in a wheelchair and then left me. I was stunned to see that my baby had been put in isolation. They had to put an IV on him because he could not eat since his mouth was in such a poor shape, and he was attached to a heart monitor and other things. He was in an incubator to keep him warm, had no clothes on him aside some bandages and the diaper. They were keeping the tubes attached to his tiny body with gauze. They could not use tape. The tape had already damaged his tummy, and the hospital bracelets that they had put on his ankles had done some serious damage as well. I held him for what I thought was an eternity, the blisters on his little body were horrible, and I had never seen anything like it. On the right side of his head there were a lot of little red marks where the skin had torn off. The nurse told me he got those spots when I was trying to push him out, he kept banging his head onto my bone. The heart monitor they had put onto his head when his heartbeat had fallen caused other spots on his head. I went back to see him later on with my mom and my mother-in-law, and it was there that my husband called me in tears. Earlier he had come to see us, and I had given him the name of that strange skin disorder. Now he had had the time to research the Internet about it, and he was completely devastated. He told me that he would most likely die from this. The Neonatologist comforted us a lot, and told us that EB is something that could be lived with. Another nurse told us that he had seen a newborn with EB before that did not survive, but that was in much worse shape than Nicky and that, unlike him, this baby’s wounds never healed. We did not know what to think. It was apparent from the very beginning that on spots where the nurses had bandaged his body he was not blistering anymore and he would not be able to rub his hands causing blisters on his hands and face if they were in mittens. Therefore I had my husband bring clothes and other things to put on him so the skin would not be so exposed. We had to learn this on our own because the Dermatologist told nobody how to properly care for our son, not even that the blisters needed to be punctured so they wouldn’t grow. Because he failed to tell us this, Nicky was in real bad shape. Both elbows were completely skinless, and so were his ankles, the top of one hand, several fingers, one of his knees, the big toe on his right foot, several spots on his legs, and his chest. The dermatologist came back the following week, and because the blisters were not being popped Nicky was in absolute horrible shape; he talked to us for a while and managed to really depress us. Over and over again he did not want to give us any hope for his survival. He told us that we would be in week after week to treat infections, if not worse, and totally painted an extremely bleak picture for us. Afterwards he took us step by step on how to care for his wounds taking extreme care in doing so. When we went back to see him at Phoenix Children’s Hospital a couple of weeks later, he brought in a lady, Heather, who had lost a son from Junctional Herlitz EB a few months earlier to help us and teach us proper wound care. 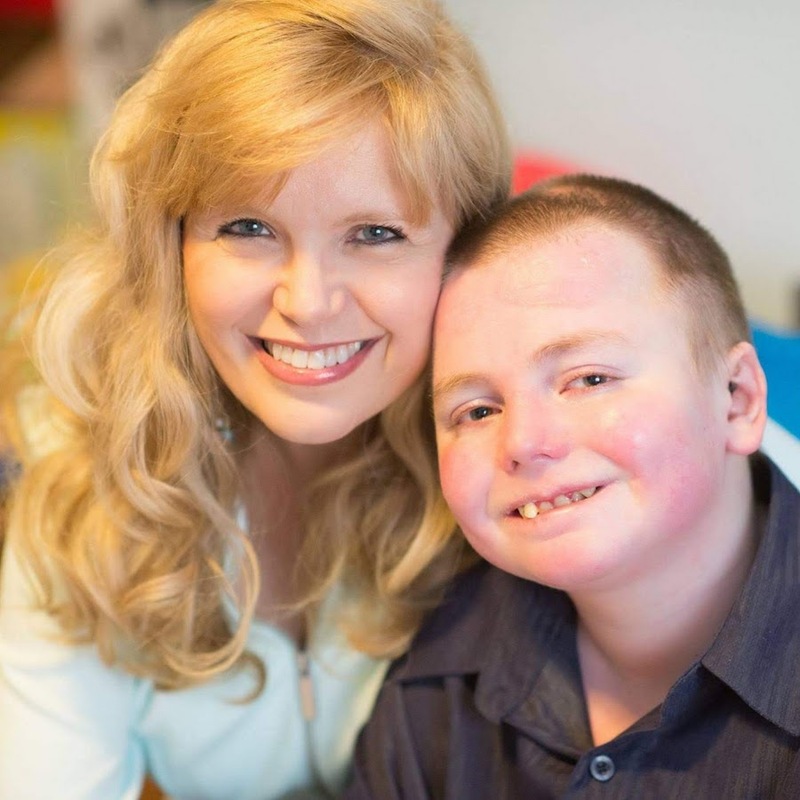 When Heather saw our son, she immediately knew he could not possibly have HJEB, and that he was going to be OK. She showed us photos of her son and we could definitely see a difference. Heather was wonderful and told us how important wound care was; showing us exactly what she did to help her son. I never forgot it. A month later we finally received the diagnose of RDEB and the Dermatologist emphasized how Nicky’s wounds, because they are deep, needed to be healed with moisture. A dry cell is a dead cell he explained, and could not heal back to “normal” and that is where scars come from. In the beginning we had not bandaged all the wounds because they were not scarring and healed much faster, but as time went on it became apparent that moisture was indeed much needed, even though it slowed down the healing time considerably. One particular instance etched in my mind was when Nicky got a rather large wound on his tummy when he was 6 months old-it healed really badly because it was almost completely air dried, and it was absolutely awful. It looked so completely different than the normal skin surrounding it, it was an eye sore. Not only it looked bad, it was also much weaker than normal skin. It was only a matter of a few weeks that the complete area (and only that area, not the normal skin surrounding it) was a new wound. This time I made sure it healed with a ton of moisture and covered and protected, and although it took a while to heal, the skin looked a million times better, and, most of all, 13 years later, the wound has never re-opened! As Nicky started crawling and moving more and more, it became very obvious that he needed more and more protection. At first it was just the hands, feet and elbows, and then his knees and more and more as time went on. It was apparent that the areas that had never gotten blisters in the first place were getting much tougher than the areas that had wounds before-those areas were much easier to get a wound on, so it was important to us to keep him as healthy and wound-free as possible. After we finally saw an EB specialist it became even more important to us to keep him bandaged because he stated that the #1 killer of RDEB children was infection, that many children are anemic due to the blood loss and, finally, the threat of cancer in non-healing areas was particularly upsetting to us, making us realize how important it really was to keep the baby as wound free as possible. One particular eye opener came a few months later. We were visiting Stanford for a routine check-up and we were able to meet a few other parents with RDEB children, and one in particular, the late and much loved Sheri Coil, decided to do an impromptu bandage “class” showing the parents how to wrap hands, armpits, torso, legs and feet. It was amazing. The things I learned that day I still use today. What was most impressive is how little damage little Brandi had on her body due to the heavy bandaging, and while at the time I thought she was “overwrapping” (a term I was referred to regarding my bandaging Nicky later on), at the same time I was amazed on how little wound mass this child had. I know some people feel that heavy bandaging means the child cannot move, but I beg to differ. It is because of the bandaging that Nicky is even able to walk and even run a little. It is because of the bandaging that Nicky is able to bump on things a little bit and be a little rougher without fear of getting hurt. It is because of the bandaging that he is not afraid of people touching him and hugging him. 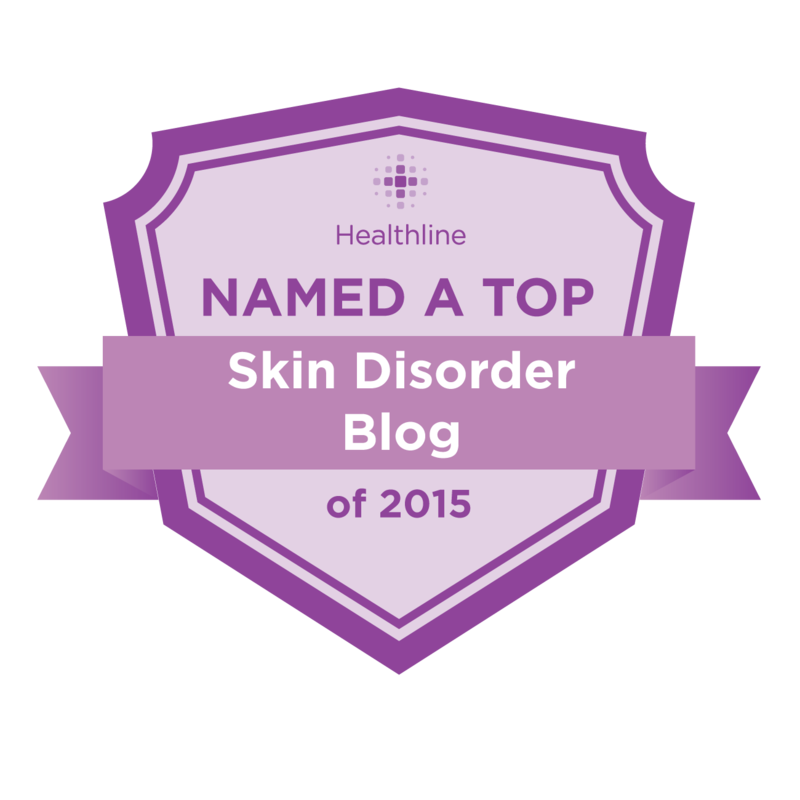 Sheri showed me how active her 3 RDEB children were despite the heavy bandaging and I became a believer. At the time, however, I was not able to start the heavy bandaging because the insurance was not covering any of my son’s supplies, so I had to wash and re-use bandages because they were so expensive and we simply could not afford them. Hence I tried my best to cover what I thought were his worse spots, but with time I had to do more and more because of the level of activity my son had. I did not start wrapping the torso, for example, until one day when Nicky was 1.5 years old. He was wearing a white t-shirt that day and I will never forget how one moment the shirt was completely dry and after I turned around, the shirt was completely soaked. At first I was shocked, not knowing how he got all wet, until I took off his shirt for the biggest eye sore ever. He had a blister, the size of my hand, which went from the front of his chest, and covered the entire side and went all the way to the back. To date, that was the biggest blister he ever had, and the last he had on his chest, because I’ve been heavily wrapping it ever since. Another bandaging area that I had to learn how important it was is the hands. When Nicky was a baby I was told his hands could “web” but I was never told about the “contracting”, or, in laymen’s terms, the curling up and webbing of the fingers into the palm. I was pretty consistent in keeping the palm or back of the hand bandaged if he got hurt, and made sure that if he got a wound in between fingers I kept the fingers moist and apart. But it wasn’t until the visit with the EB specialist that he pointed out to me how his index finger, at barely 8 months of age, was already curling up. 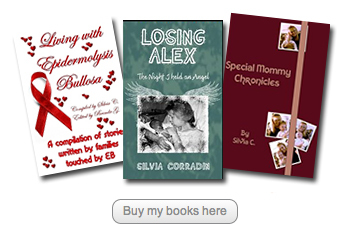 I could not believe it; my 8 month old baby was already disfigured. The pediatrician sent us to a hand therapist and physical/occupational therapists to see if we could get a handle of hands and prevent further damage, and while the hand therapist made some splints to wear at night, the physical/occupational therapists basically showed me the importance of straightening those fingers every single day. Another mom sent me some gloves made of Lycra that were elastic, so that the tips of his fingers could be free. Since I still felt as if bandaging each finger was overkill, I thought this was the best course of action. Well, I was wrong. The splints were so incredibly hard to put on Nicky, we quickly gave up. There were times they were doing more harm than good. While the gloves really helped in protecting the hand, they did not help in keeping the fingers apart or straight because there simply was not enough tension. Lastly, the straightening of the fingers worked, but without a way to keep the fingers apart, the fingers were becoming useless anyway because they were webbing together. By the time Nicky was 2 years old his right hand (and he is right handed) was so badly webbed he would no longer use it. The fingers were webbed together and somewhat curled and Nicky was now doing everything with his left hand, which was in a little better shape than the right one. Something had to be done, and soon. After much research, talks to various Doctor and internal debates, we decided to go ahead and do the surgery, and that we would start aggressively doing the hand bandaging immediately after surgery. While the surgery and the recovery is something I rather forget because I had never seen my baby in so much pain, on the other hand, he came out with a hand from this procedure. I have been wrapping his fingers individually and the palm/back of his hands with Vaseline gauze first, to retain the moisture, then I cover with 1′ gauze. The surgery on that hand was now about 12 years ago, and while the right hand’s fingers are a little curled up at this point, he can still use them well, and there has been no loss to web space. The hand can probably hang in there for a few years to come without any surgeries, and even so, we’ll most likely opt for a “partial” surgery, just to straighten a couple of fingers. The left hand benefited from having aggressive bandaging early on, but it was already is fairly poor shape, and a surgery became a need when Nicky was 3 years old. Unfortunately the recovery from this surgery did not go well and the fingers were not straight afterwards, I blame myself for it, I was working full time as a single mom and was not able to tend to this hand as much as I should have. Because this was, after all, his left hand, I pretty much “let it go” and it was unbelievable how fast the fingers webbed and curled into the palm of his hand. I was still keeping them apart with gauze, but he basically had no fingers to speak of. The only good thing that came out of that surgery was that the thumb was released and he could use it well now. I was always planning to have another surgery on that hand and tried to get the right Drs involved this time, which took time, but I did not seriously and aggressively look into it until after Nicky started kindergarten and he saw the other children’s hands. To see my son devastated because his hand was different than his peers and asking me if the doctors could straighten his hand was more than I could bear. Just before his 6th birthday I was finally able to get him in to get a hand surgery with a Dr at Stanford and, by far, this was the best experience with a hand surgery yet, he wore a cast and took a lot of pain medicine and he did quite well. While Nicky himself told me he did not like the surgery or recovery, he is so happy he has a hand! Future surgeries, if any, I will leave up to him. It’s his hands, his pain to endure. Now that Nicky is 14 years old, he himself understands how important it is to get him wrapped, and he even asks me for MORE bandages in certain areas. If for some mistake I miss an inch of his body it would be blistered up next time I unwrap him, so he’s become extremely aware of the benefits of bandages and how much they improve his life. There are many parts of his body, such as his back, that haven’t blistered at all in years and the skin there is absolutely perfect and normal, even has some little hair growing out. His chest is also looking fairly good considering some of the problems we had early on. The hardest and most wound prone areas are his entire legs, ankle and toes, his hips, his armpits, elbows and hands. Even so, he has very little scarring elsewhere, which is a miracle of the bandaging, since I know how severe he is and how bad he would be if I was not bandaging him. The fact that he’s also not so active surely makes a big difference, but he does scratch a lot, hence some of the heavier bandaging to prevent him from hurting himself aside the anti-itch medicine he receives everyday. To parents of severe RDEB children, don’t let anybody tell you that you are “overwrapping” your child. There is no such thing. Every child is different and needs to be protected. Perhaps some children deal with it better being underwrapped, and if it works for you, good for you. Bandaging, in my son’s case, has improved his life dramatically. He can still do everything he wants to do and more, because he feels protected, and his wounds at times only account for maybe 20-25% of his body, and mostly because some take a while to heal. New wounds are now fairly rare, and are mostly accounted for by his itching that we are trying to get under control.